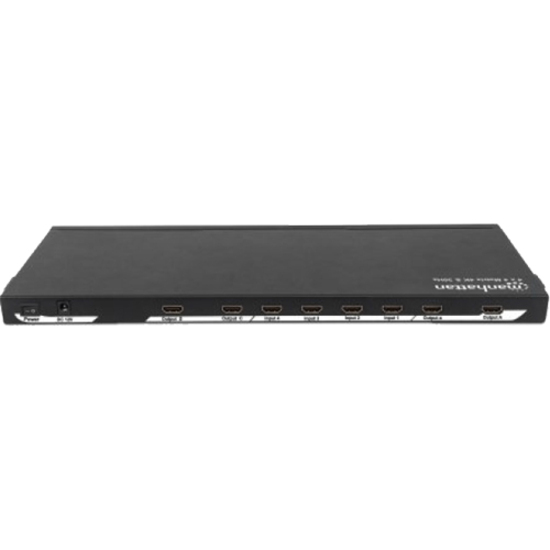 The Manhattan 4K 4x4 HDMI Matrix gives you the option of connecting as many as four HDMI video sources - including gaming consoles, Blu-ray players, satellite receivers, digital recorders, set-top boxes and other devices - to up to four ultra-high-definition (4K, UHD) or 3D high-definition displays as well as Deep Color HD projectors. 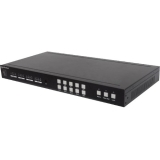 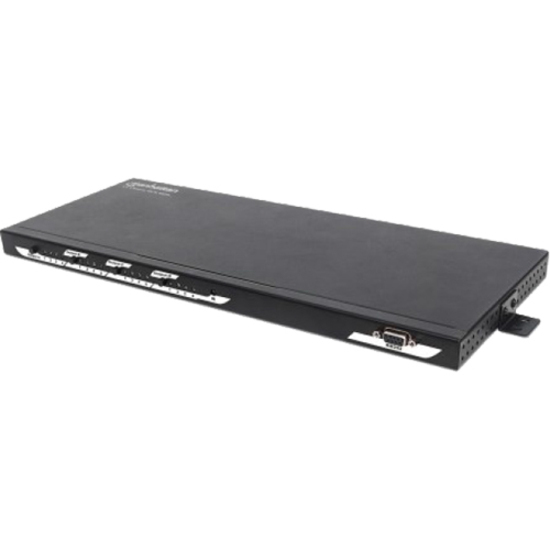 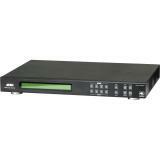 Perfect for a variety of home or commercial applications, the Manhattan 4K 4x4 HDMI Matrix has manual selection switches, a convenient IR remote control and RS232/Serial port for PC control, so you can quickly select or switch between HDMI sources and displays. 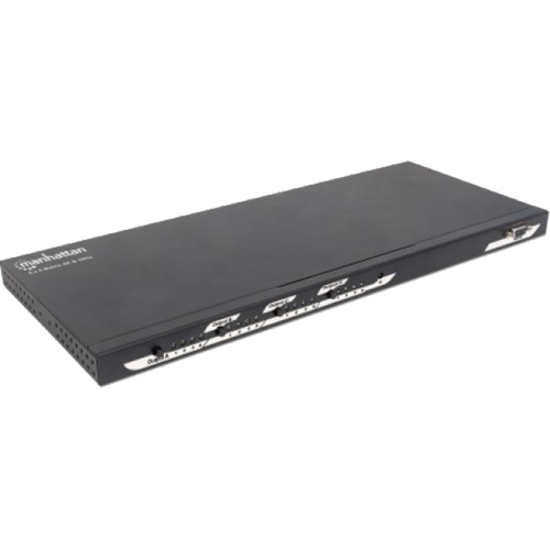 The Manhattan 4K 4x4 HDMI Matrix is HDMI and HDCP 1.4a compliant. 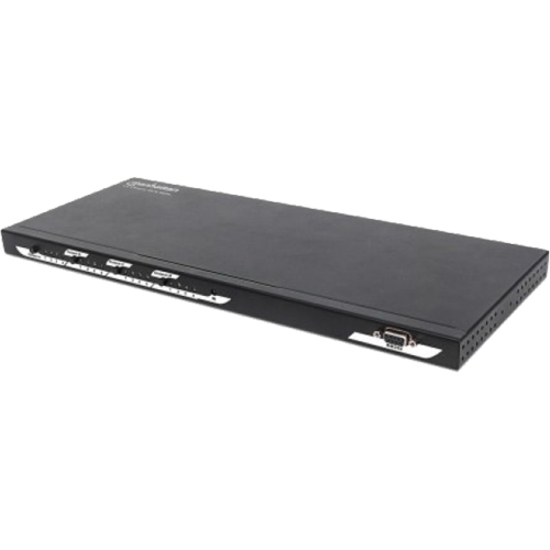 It delivers a stunningly clean, crisp and vivid picture at up to 4K@30Hz resolution on one, two, three or four displays thanks to an integrated video bandwidth amplifier. 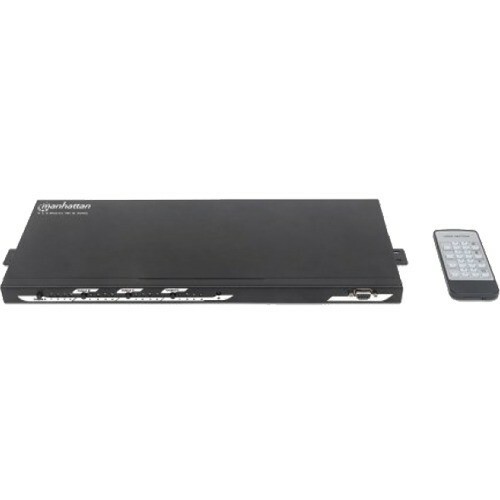 Additionally, it supports HD-quality 3D video, as well as LPCM, DTS and Dolby TrueHD audio.